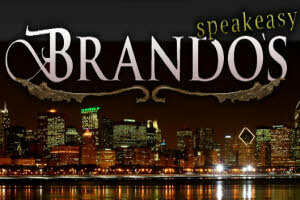 Brando’s Speakeasy, a Chicago Loop bar in the historic south loop of Chicago is where everyone wants to be. Brando’s Speakeasy is famous for its martini list, and also features Karaoke and dancing. If you are looking for the finest Chicago Loop Bar or somewhere to go that you will truly enjoy and have fun, Brando’s Speakeasy is the place for you.